This long expanse of beach lines the south portion of the West End. 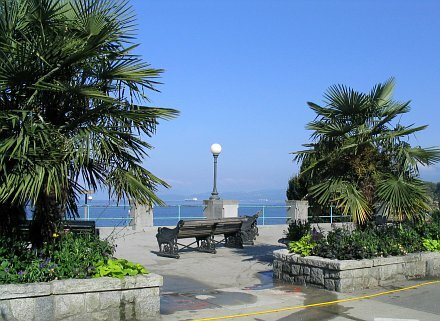 The park’s trademark palm trees and vibrant flowers create a tropical atmosphere that delights visitors and Vancouverites alike. 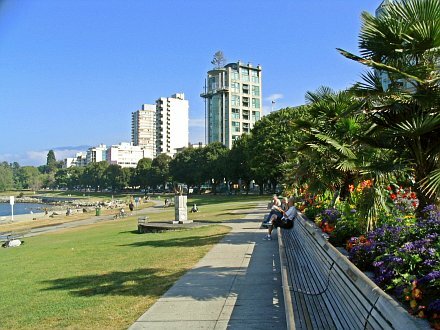 With beautiful sandy beaches, seawall, and busy Denman Street nearby, English Bay Beach Park is always filled with people. This is the downtown core’s most populated beach attractive to people of all ages. 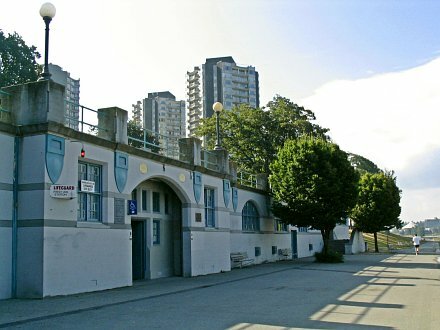 Vancouver’s first self-proclaimed lifeguard, Joe Fortes, resided here in a beachside shack just after the turn of the twentieth century, protecting and teaching the beginning swimmer. The present bathhouse built in 1932 replaced an earlier more ornate structure put up in the early 1900s. 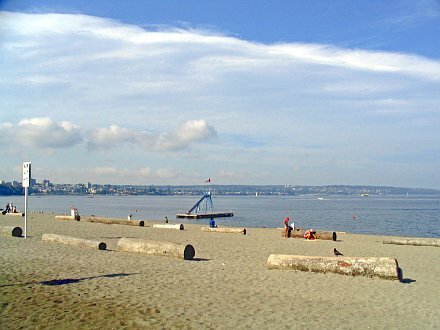 Many private homes and hotels once blocked access to English Bay before the Park Board made it a long term objective to purchase private properties and remove any obstacle for the public’s enjoyment of the waterfront.